As Christmas approaches and you find yourself struggling to think of unique and impressive gifts to buy, it is important to remember there is nothing more valuable than the safety and security of your family and loved ones. 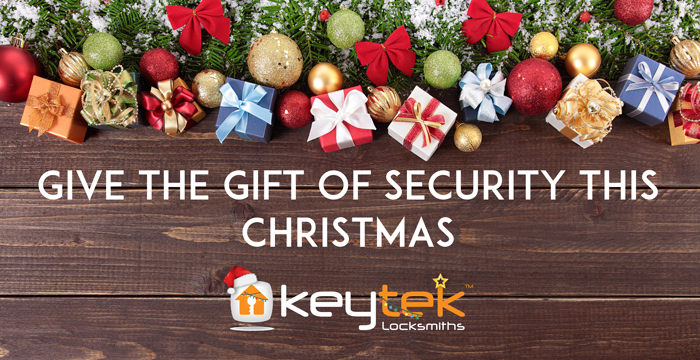 We at Keytek have collated a list of gifts and stocking fillers that will help ensure the safety of those you love this Christmas. People who frequently find themselves locked out the house because they’ve forgotten their keys often result in hiding a spare key around the front of their property. This can put their security at risk, as the easiest way a burglar can enter a house is by finding the spare key. An ideal gift for those who forget their house keys is a Key Safe. There is an assortment of Key Safe’s available in a variety of sizes, makes and models. Most Key Safe’s can only be accessed by a code which only the owner and their loved ones know. They are extremely durable and weather resistant, and can be found on the Keytek shop! Motorcycle and bicycle theft remains a growing problem and can be easily avoided by the use of a bike and motorbike lock. If a loved one has a passion for biking, a gift that secures their most prized possession is ideal for Christmas, as motorcycles and cycles can be very expensive, therefore targeted by thieves. Keytek Shop stocks various locks, from chain locks to loop locks, which all offer high levels of security for bikes and motorcycles. Why not consider a humorous yet practical gift this Christmas. The range of Decoy Safe’s on the Keytek Shop can be used to hide money, jewellery and valuables in plain sight. The Keytek Shop offers 3 models of Decoy Safe’s; The Heinz Baked Beanz, Heinz Spaghetti and Heinz Tomato Soup cans, all recognised by the police, neighbourhood watch groups and insurance companies as effective theft deterrents. This year don’t just resort to your usual go to gifts for Christmas; why not throw in a practical gift as well! Gifts which protect the security of a person and their prized possessions are enormously valuable, and the recipient will be extremely grateful in the long run.